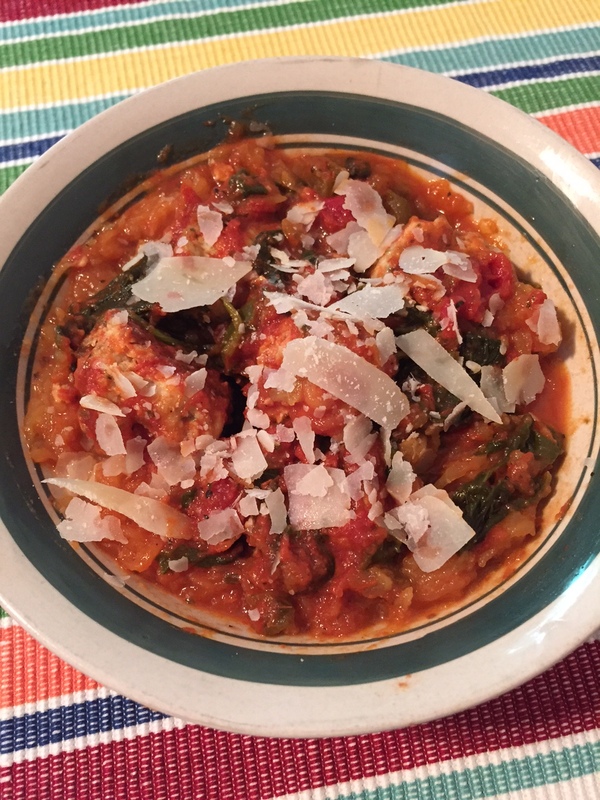 Meatballs are the perfect comfort food. Loaded up with lots of sauce and cheese over pasta…how could you not love that? I could probably eat Italian food every day for the rest of my life. But I do like to experiment with lightening it up, that way I can enjoy all the deliciousness without all the guilt. 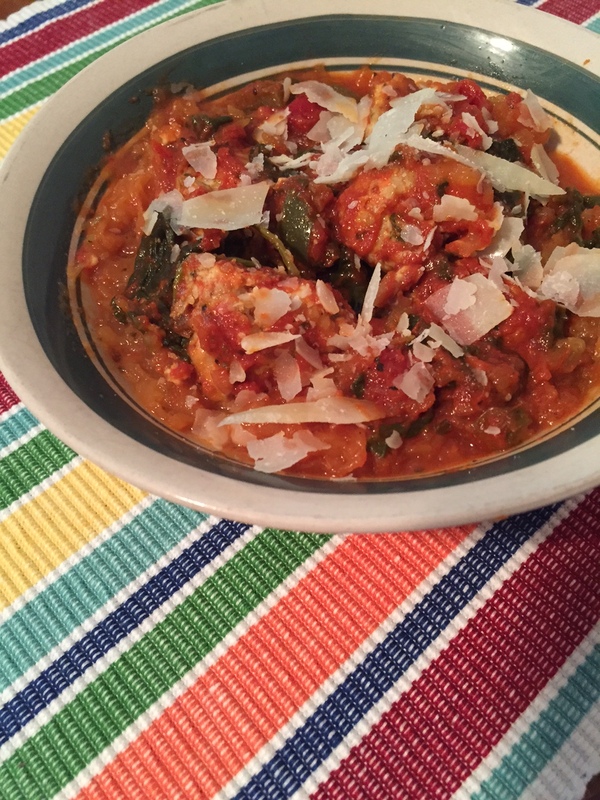 Introducing…turkey meatballs! 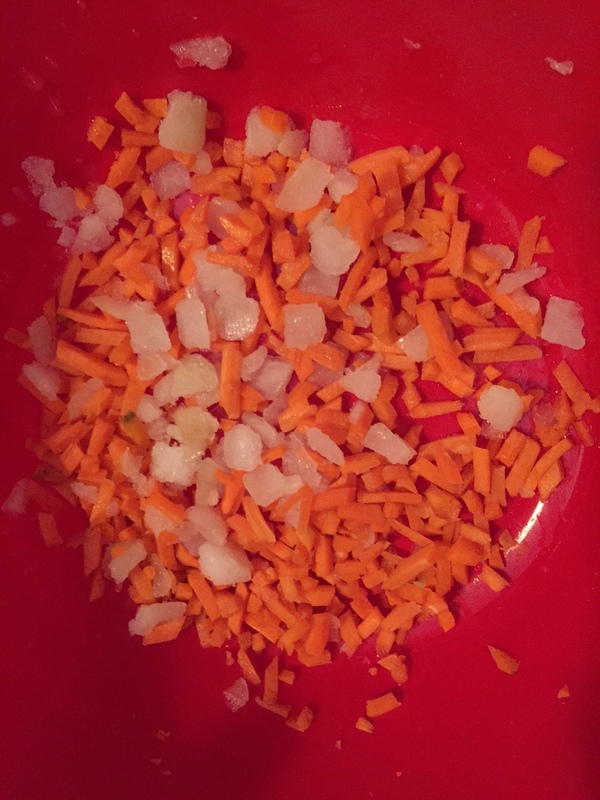 Using ground turkey breast keeps these very low in fat, while adding chopped carrots and onion keeps them moist and tender. So they still taste just as delicious! 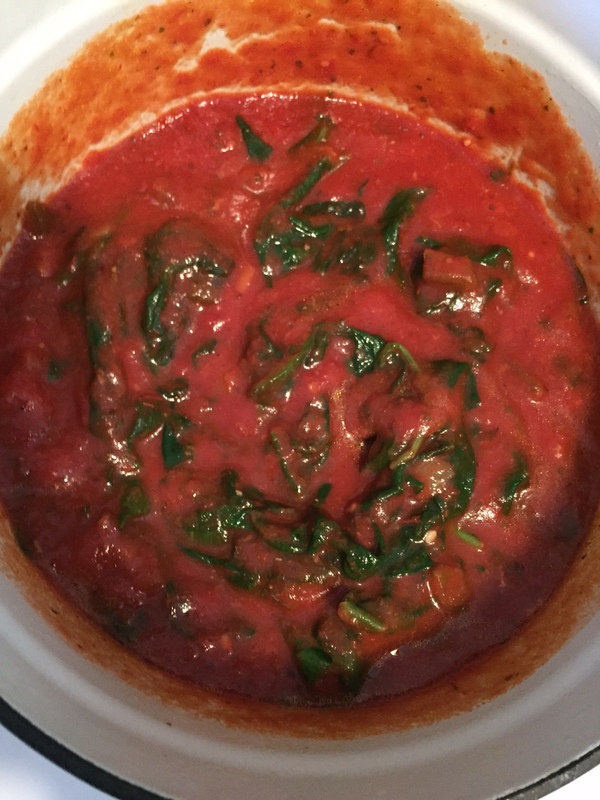 For the sauce, I kept it simple and just used a jar of sauce. I think people assume that because I’m Italian, I must make a fabulous homemade pasta sauce that I slave over for hours. But the truth is, I don’t have the time for that, and I also haven’t managed to make a sauce that tastes much better than the jar kind (but recipe recommendations are always welcomed!) My favorite is Newman’s Own Sockarooni – it’s a very flavorful blend of spices, onions and peppers, and chunks of tomato. 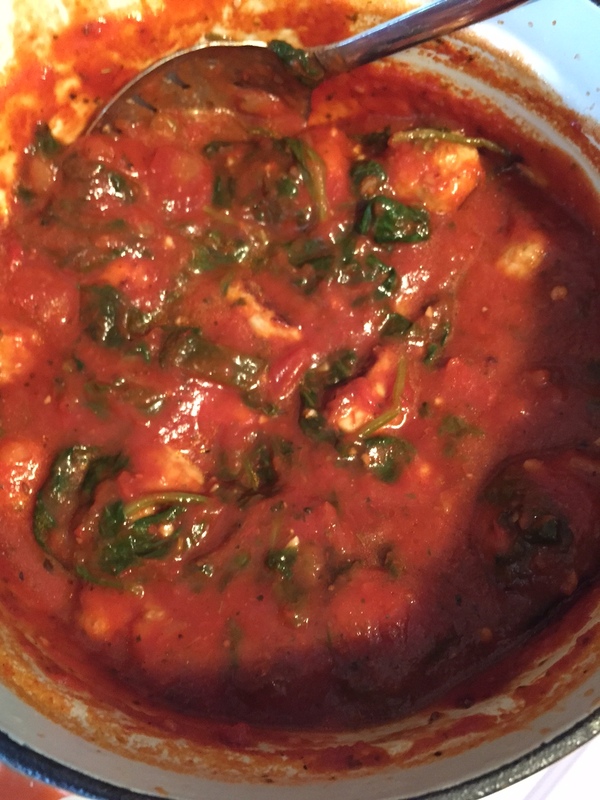 I added a bag of spinach to it for an added nutritional punch. 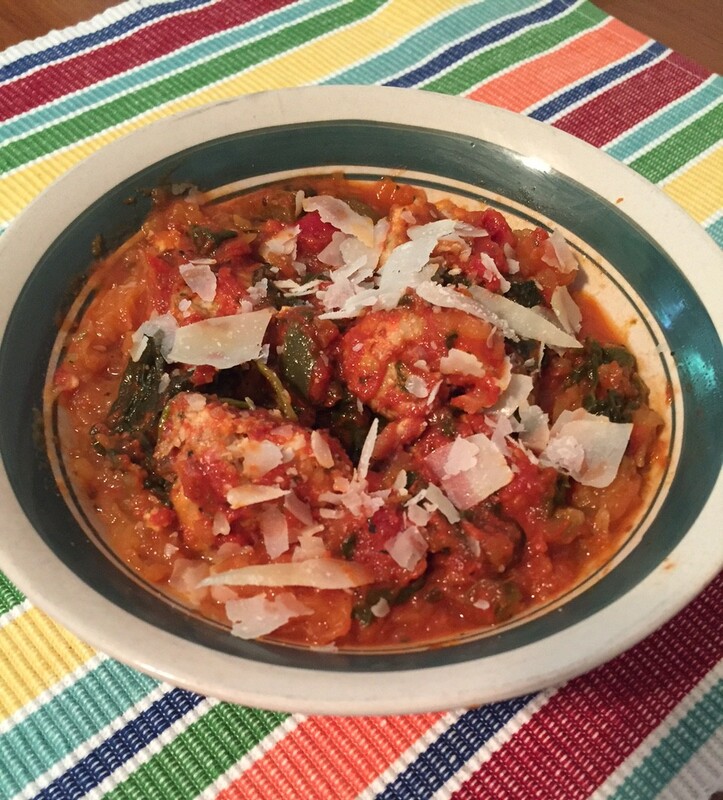 I topped it all off with some shaved parmesan cheese…perfecto! This is also a great freezer meal; I put two servings right into the freezer so I would have them for nights that I don’t feel like cooking! 1.) 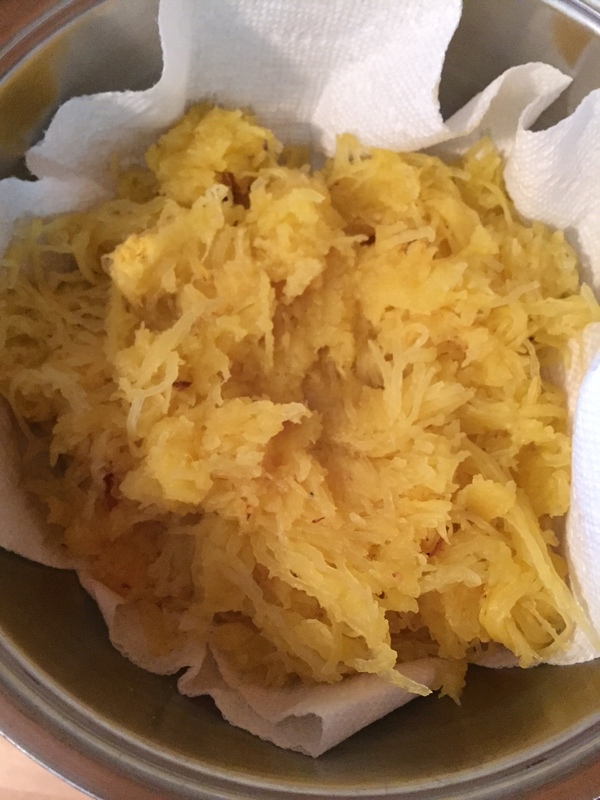 Preheat oven to 400 F. Cut spaghetti squash in half, length-wise. Scrape out seeds and pulp. Spray inside of each half with olive oil spray and sprinkle with a little salt and pepper. Bake on a cookie sheet, inside facing down, for about 45 minutes, or until the insides are easily scraped with a fork. Let cool, then scrape the “spaghetti” out into a strainer or large bowl lined with paper towel (to soak up excess liquid). 2.) 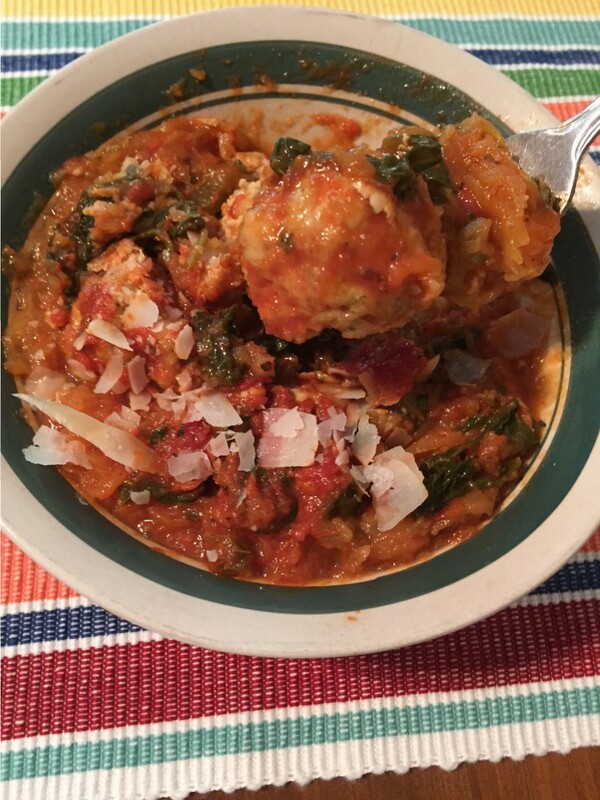 While spaghetti squash is baking, prepare the meatballs. 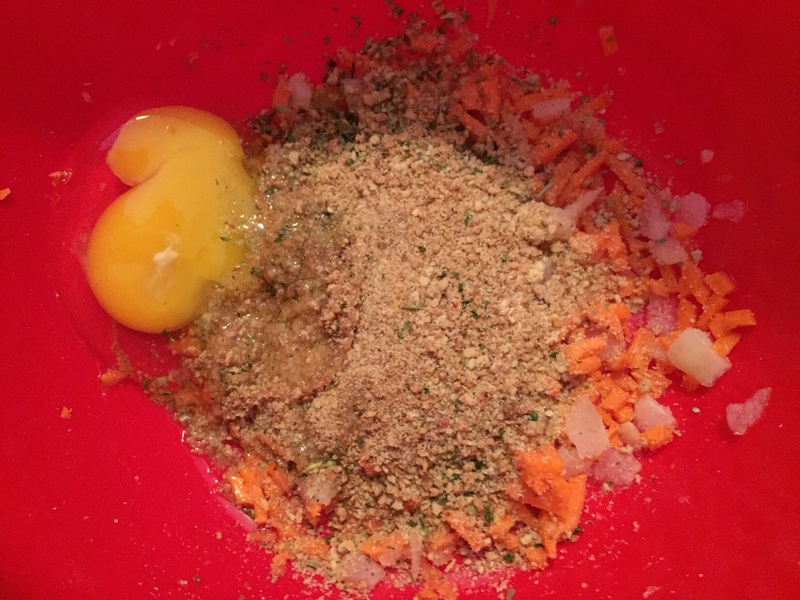 Chop the carrot and onion, then combine with the egg, breadcrumbs, Italian seasoning, and garlic powder. 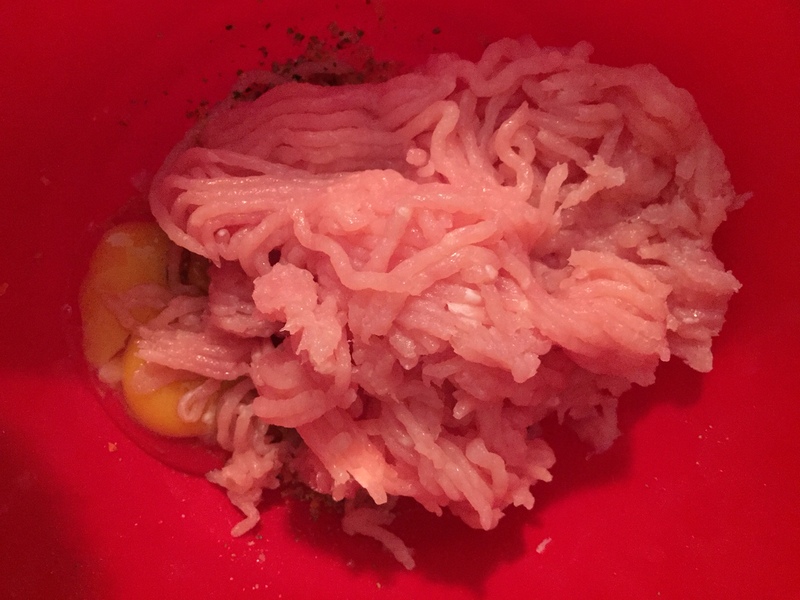 Add in the ground turkey breast and mix everything with your hands. 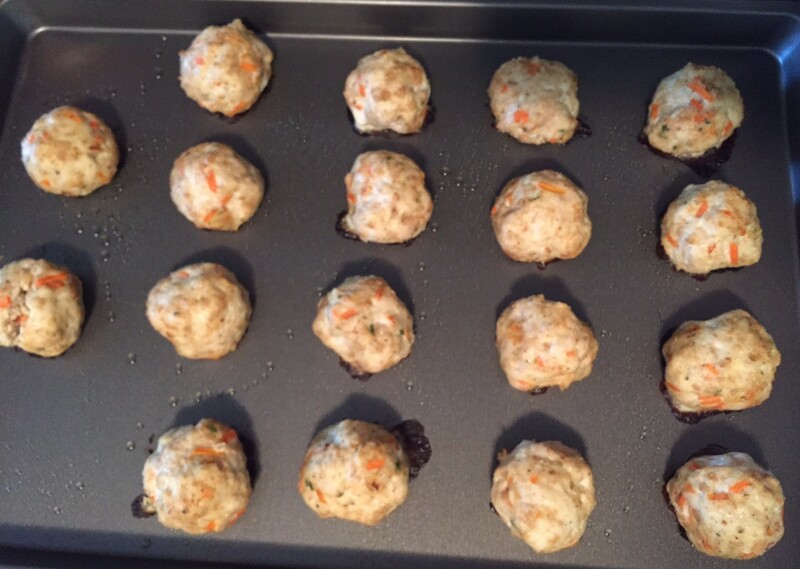 Form into balls and place onto a well-greased cookie sheet. 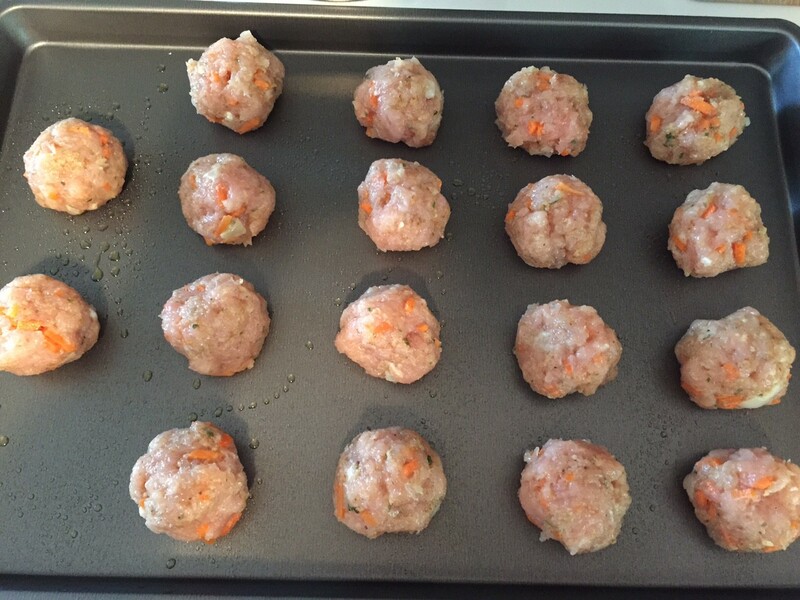 Once squash is done, lower oven to 350 F and bake meatballs for about 30 minutes, or until no longer pink inside. 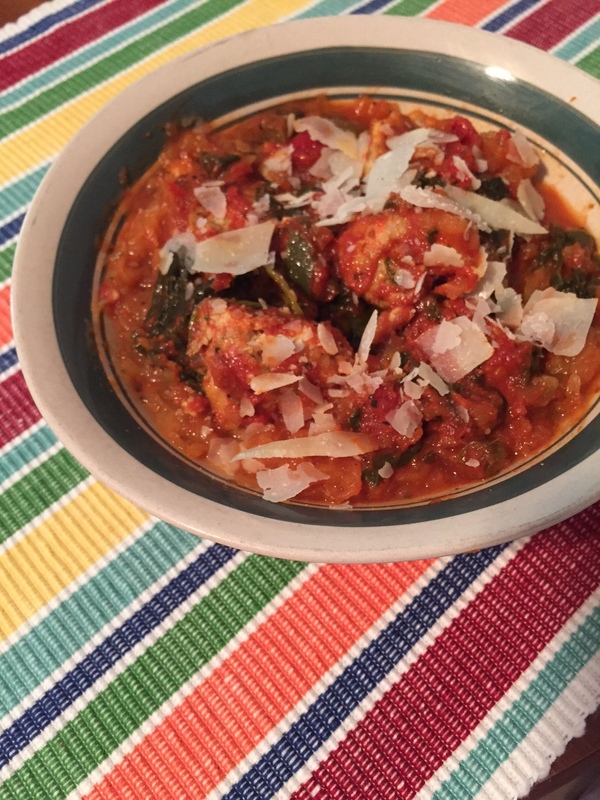 This recipe makes about 18 meatballs. 3.) While meatballs bake, heat olive oil over medium heat and add minced garlic. 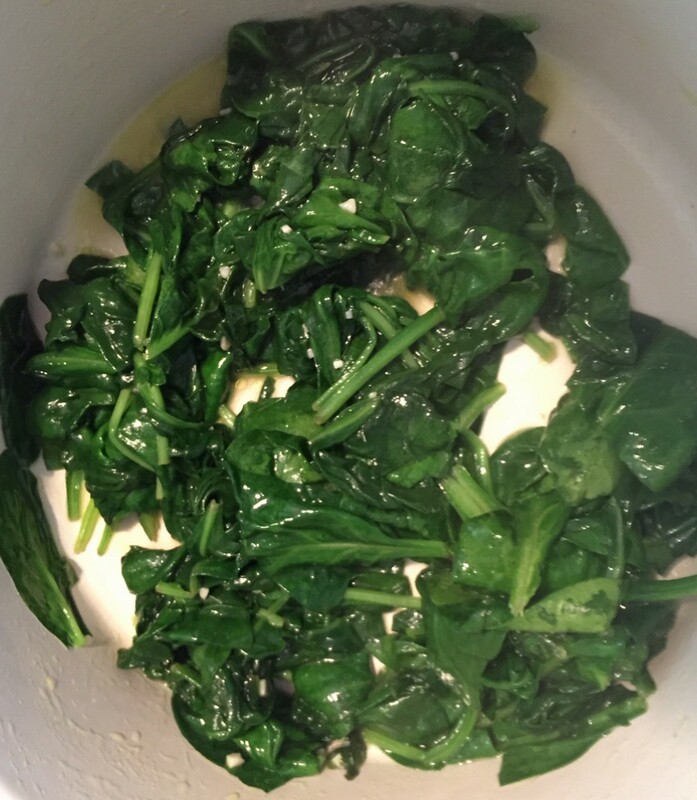 Add spinach, in bunches, until it is all wilted. Then add jar of sauce and let simmer. Feel free to add your own spices or other veggies to it! 4.) 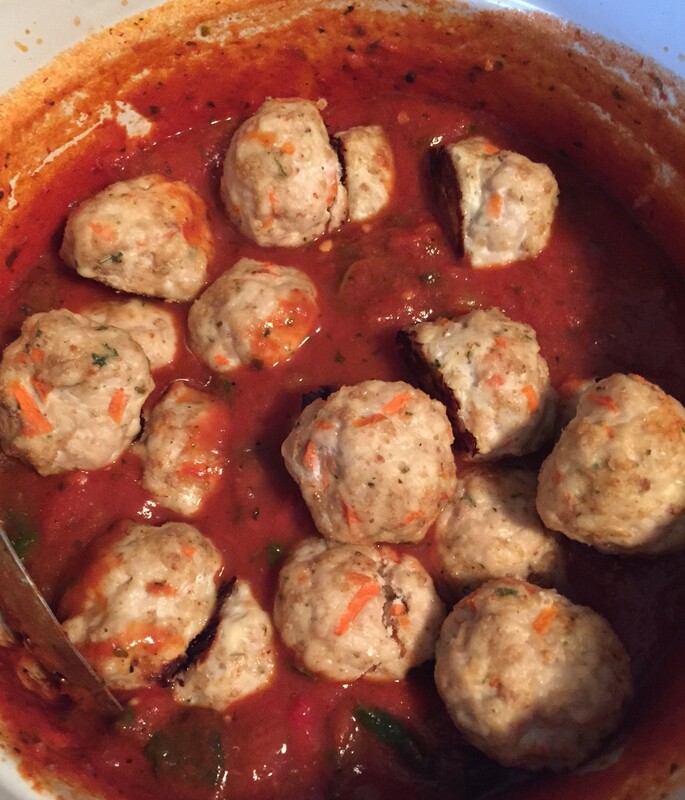 Once meatballs are done, add them to the simmering sauce and heat through for a few minutes. 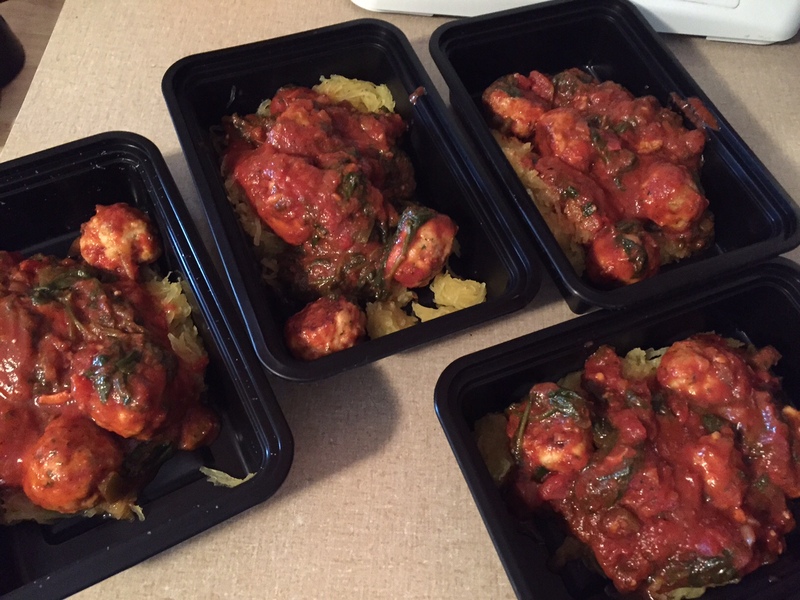 Serve 4.5 meatballs over 1 cup of spaghetti squash. 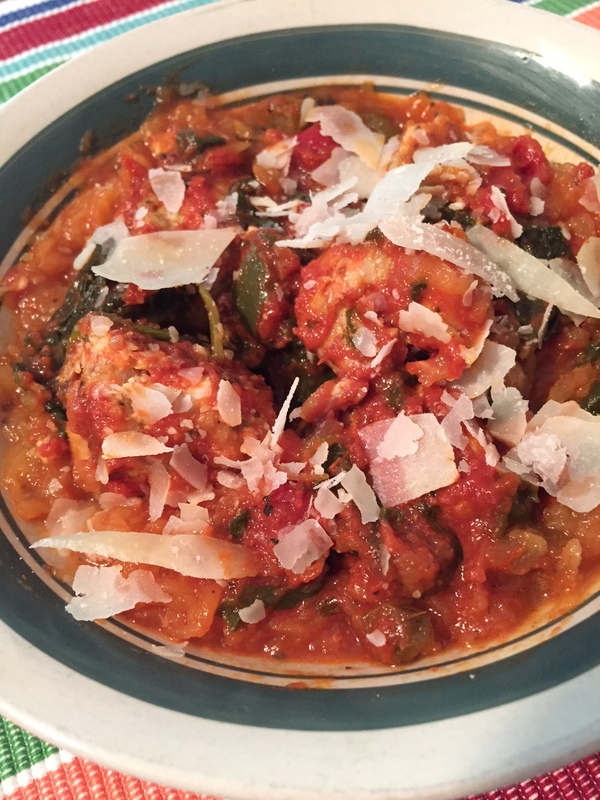 Top with a hearty serving of sauce and a sprinkle of parmesan cheese! Love, love, love these! Can’t wait to try them 😀 They look amazing.